How Google ranks webpages in its search results is still a mystery for most of the marketers but some SEO experts have revealed data backed resources showing what matters to rank a page at top of Google rankings. We are putting seven Most trusted case studies by SEO experts to show Top SEO Ranking Factors in 2019. Some of these are form 2019 itself and some are from 2018 but still valid. Each of these case study is having a huge value for content marketers to understand SEO in depth. What’s included in these seven case studies and link to each one shown below. Backlinko Analyzed 912 Million Blog Posts. Here’s What they Learned About Content Marketing. 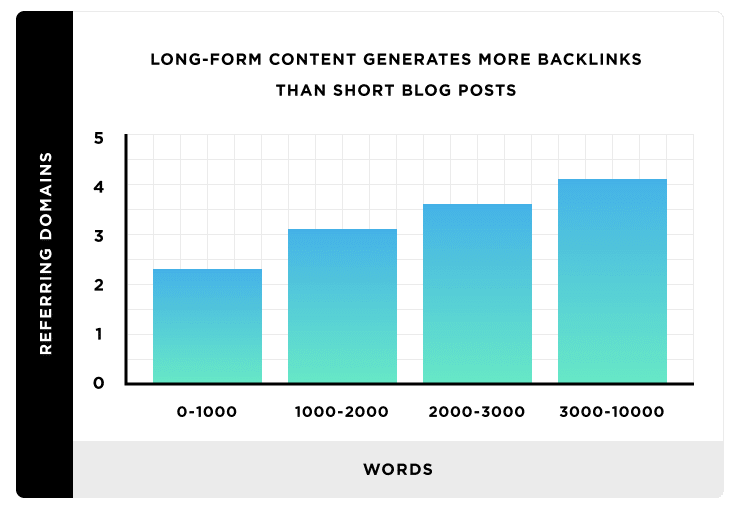 Headlines that are 14-17 words in length generate 76.7% more social shares than short headlines. List posts get an average of 218% more shares than “how to” posts and 203% more shares than infographics. SEMrush took a set of big data consisting of 600,000 keywords from their worldwide base and the first 100 SERP positions for each of them. They also had a list of alleged ranking factors that might influence the page positions. 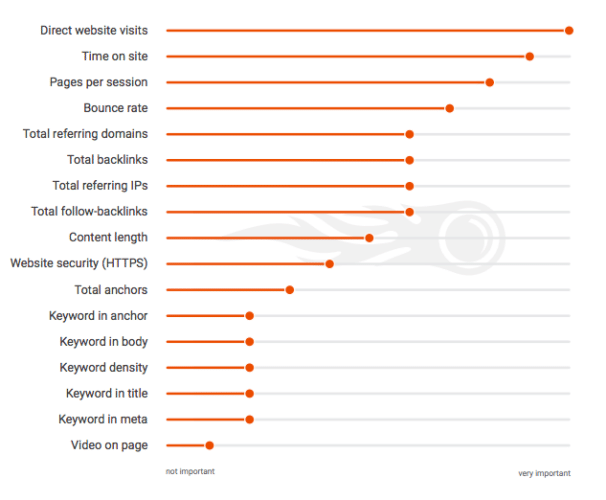 Direct website traffic is the most influential ranking factor. That is, when many users go to a website directly it is a good sign to Google that the domain has high authority and value. User behaviour signals such as time on site, pages per session and bounce rate also influence website rankings, since they indicate website quality and relevance for users. Stone Temple shared the results from the fourth of their “Links as a Ranking Factor” studies. They conducted the first of these studies in May 2016 and have been tracking the same query set over time to measure any material shifts in the role of links. In this year’s study, They also looked at different market sectors to see how the role of links may vary by market sector. Content relevance and user intent are the key focus. Ranking Factors are becoming increasingly personalized. Technical factors – prerequisite for good rankings. User signals – Google is always watching you. MOZ released the rankings factors for local search and are quite interesting to get your local business ranked high in google. 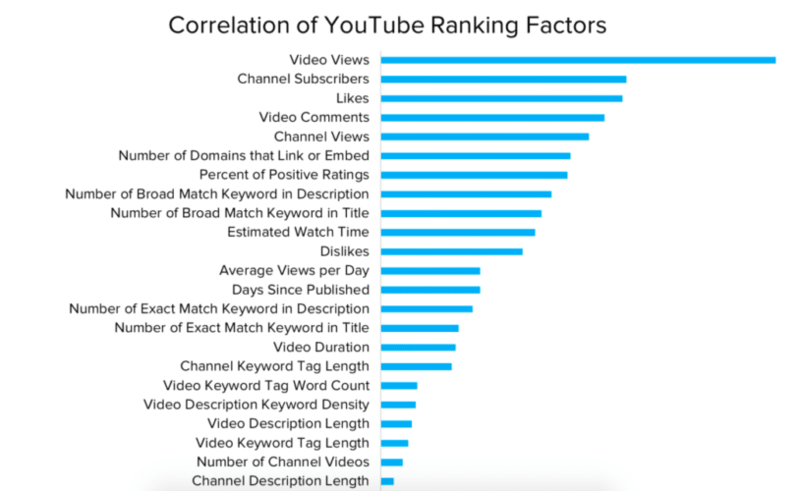 To better understand how the YouTube Search algorithm works, Briggsby looked at 3.8 million data points across 100,000 videos and 75,000 channels. Using a keyword sample that contained a variety of named entities (people, places, things, etc.) and questions (how, why, etc. ), they checked rankings for the first 20 results and fetched a wide array of data through the YouTube API, scraping, and additional analysis. Neil Patel Analyzed 143,827 URLs and Discovered the Overlooked Speed Factors That Impact Google Rankings. It is the largest study of the impact of website speed on Google search rankings ever performed. He surfaced several highly significant findings. These findings are significant, partly because they’ve never been revealed before, but also because they could make a massive impact on your website’s search rankings! 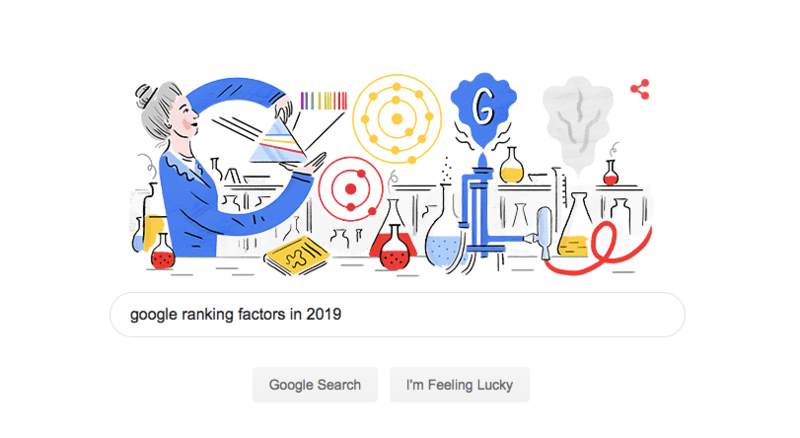 We would like to hear your thoughts in comments about the ranking factors which matter in SEO in 2019.